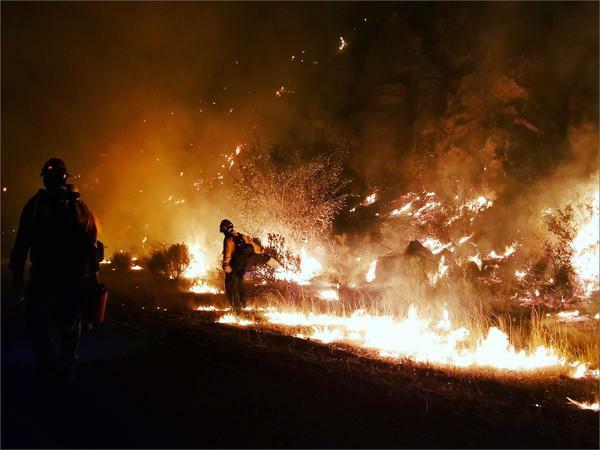 File photo of the Chelan Hills Fire in Washington. Hilary Franz, Washington Commissioner of Public Lands, discusses working to cultivate healthy woodlands with Idaho Matters on Friday, August 24, 2018. The proliferation of wildfires throughout the West are forcing researchers to look at the health of American woodlands. Idaho Matters examines the future of the region's forests with Washington's Commissioner of Public Lands, Hilary Franz. Boise State Public Radio reporters Frankie Barnhill and Matt Guilhem discuss the region's wildfires and smoke conditions with Idaho Matters on Tuesday, August 21, 2018. 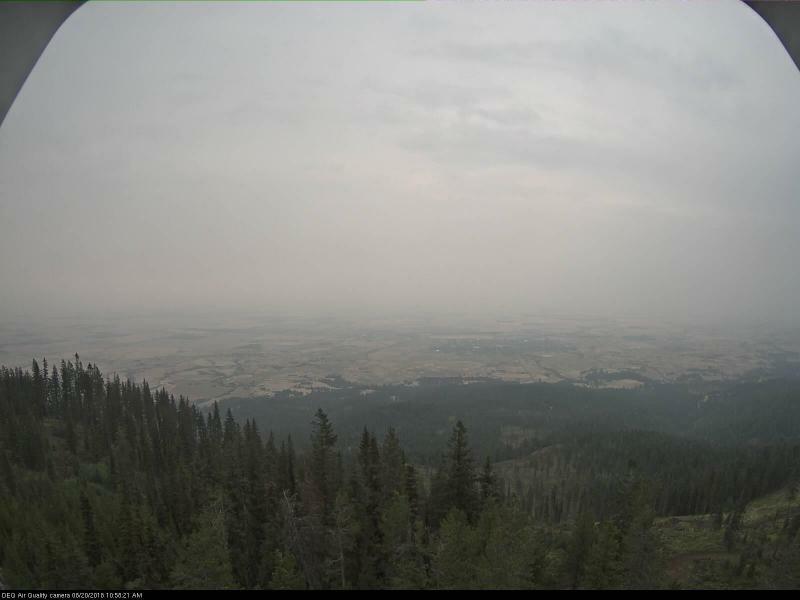 While firefighters work to contain the multiple wildfires raging in Idaho, smoke from fires from Canada to California is pouring into the Treasure Valley. Boise State Public Radio's Frankie Barnhill and Matt Guilhem join Idaho Matters to provide updates on this season's wildfires and to run through the flag warnings around the state and air quality forecasts for the Treasure Valley.